The Tai Chi for Health Institute strives to keep all information on this website up to date, but cannot guarantee the information provided is accurate. This information is provided “as is” with no express or implied warranty. Any mistakes in this information that are brought to our attention will be corrected as soon as possible. The Tai Chi for Health Institute reserves the right to change any information on this website at any time. 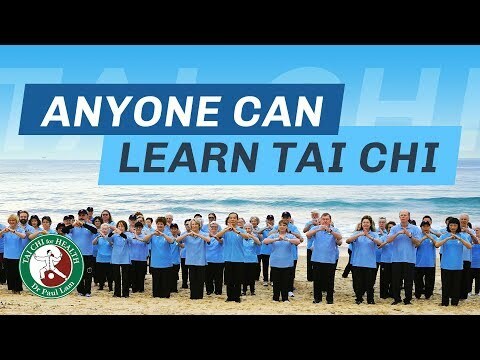 The Tai Chi for Health Institute accepts no liability for any loss or damage a person suffers because that person has directly or indirectly relied on any information on this website. The Tai Chi for Health Institute claims copyright ownership of all information on this website, unless expressly stated otherwise. Use No information may be used for commercial purpose, unless and until the Tai Chi for Health Institute gives written permission. What Should I Wear to Practice Tai Chi? Keep up to date with news, events & more.